The View from Hemingway's Attic: Did Teddy Roosevelt Hold off 5 Indians in the Badlands ? 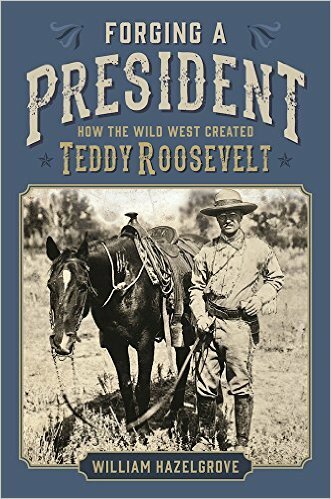 Did Teddy Roosevelt Hold off 5 Indians in the Badlands ? Yes. It might have been four but no matter. The Dude newly arrived in the West was out looking for some horses when Indians appeared on the horizon and started galloping toward him. This is 1884 with Geronimo still on the loose and atrocities occurring on both sides. Men carried poison with them in case they were captured as stories of Indians cutting off men's organs while alive was well known. Enter Teddy Roosevelt to the Badlands fresh off the train from Manhattan. He had come out to find his piece of the West after his wife and mother died on the same day. So the Indians with Winchesters raised charge Teddy. He swings down and puts his rifle across the pommel of his saddle and pins it to the center Indian. They stop and legend has it they professed they were friendly. The man with thick glasses from Manhattan would have none of it and told them to keep their distance. They then cussed at him and Teddy would later write he knew they had a good command of English then. So how much danger was Teddy in? Possibly a lot. The Indians could have easily killed him and taken his horse and rifle and left his bones to rot in the Badlands. Cowboys were found many times scalped and worse after Indian encounters. So Roosevelt was smart to hold his ground. Apparently they then followed him but eventually gave it up. Teddy Roosevelt's stock went up in the West and the Roosevelt legend climbed just a little higher.